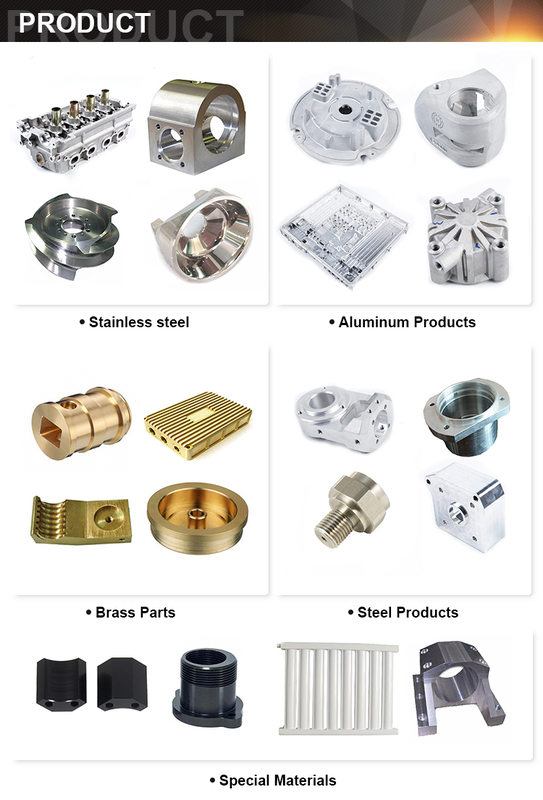 Material Aluminum:5052 /6061/ 6063 / 2017 / 7075 / etc. Steel Alloy::Carbon Steel / Die Steel / Spring Steel/ Cold Rolled Steel etc. Other Special Materials:Copper,Plastics,Lucite , Nylon ,Bakelite , Carbon,PP,PC,PE,PEEK,Titanium etc. Surface Finishing Anodizing, Bead Blasting, Hard Coat Anodizing, Heat-treating, Induction Heat Treating, Laser Etching, Pad Printing, Painting,Parkerizing, Plating, Polishing. Powder Coating, Precious Metal Plating. Delivery time 20-30 days after receiving orders,usually based on customers' PO QTY.